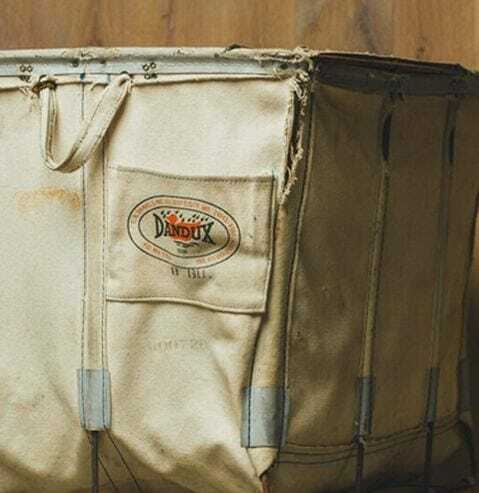 Vintage laundry cart manufactured in the United States by Dandux. The company has long been known for its high quality products that are used throughout the hospitality industry. 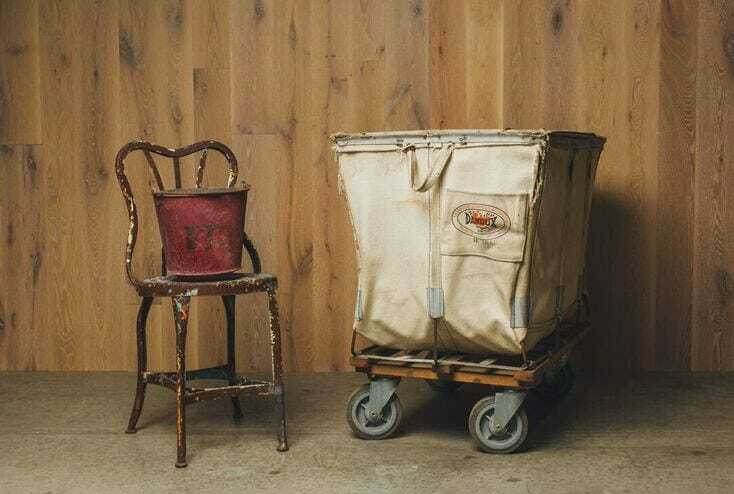 Cream-colored canvas, cloth handles, and swiveling wheels. Stow soap and other supplies in the patch pocket. With its substantial size, it can stand up to even the highest pile of linens.